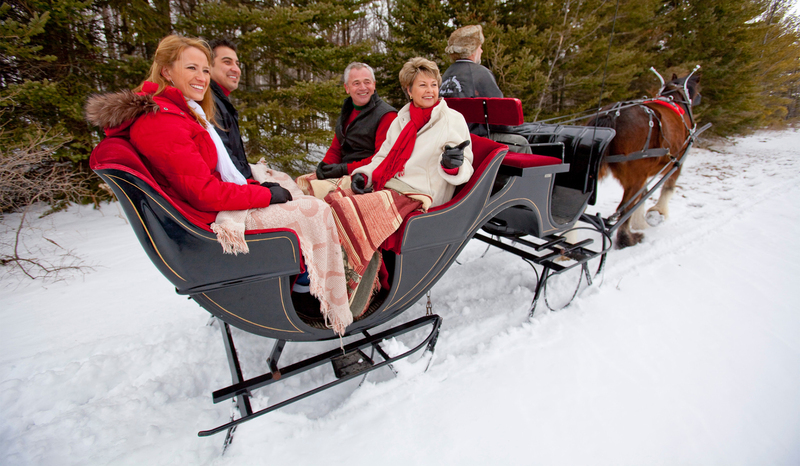 Bundle up the kids or snuggle up to your special someone and get ready for the snow to brush your face, as one of our beautiful teams transports you in our winter wonderland. 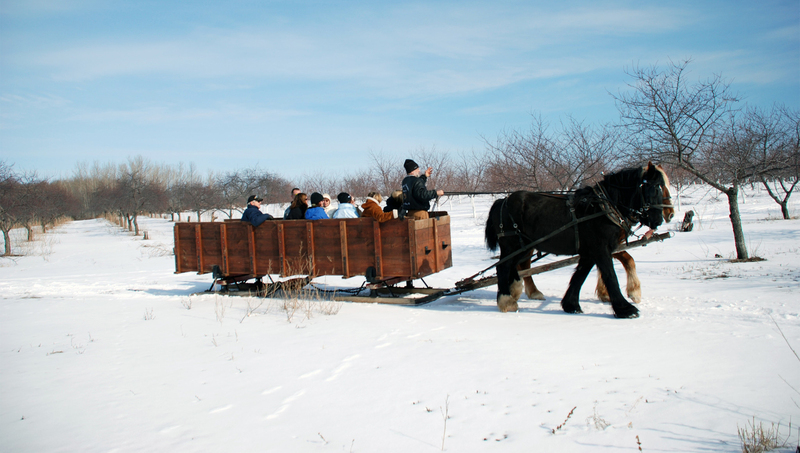 A narrated tour explains the workings of the orchard and winery, as we glide over glistening white snow. In the woods we travel on an old logging trail. 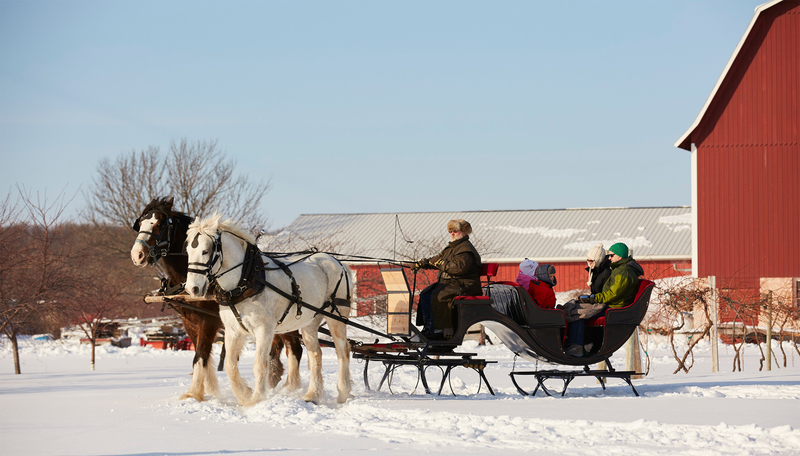 We use a cozy wagon when theres not enough snow. Call for reservations, which are recommended. Private tours also available. Nov-Apr, F-Su 11-4, reservations requested. Weekdays by appt. only.